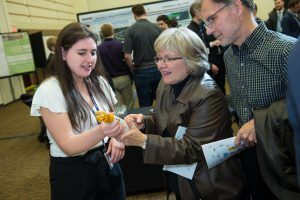 You’re welcome to attend UNB’s 5th Annual Engineering Design Symposium taking place at the Fredericton Convention Centre on Thursday, April 4th, 2019 from 8:30 am – 5:00 pm. The Symposium will showcase design work of approximately 300 final-year engineering students in our product design course and in our disciplinary capstone design courses. 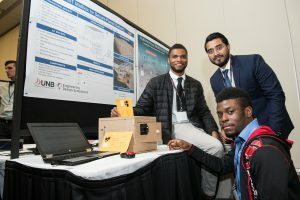 Many of the projects are sponsored by local governments, companies and non-profit organizations and span the disciplines of Chemical, Civil, Electrical & Computer, Geological, Geomatics, Mechanical and Software Engineering. Students will be presenting their work in parallel sessions throughout the day and working prototypes will be on display.